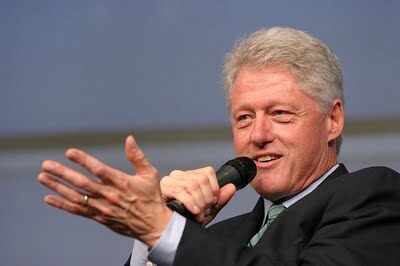 Can Bill Clinton Smooth Things Over? According to a Times-UK article, the Obama camp is looking to Bill Clinton to heal the wounds inflicted in this divisive primary race. I liked this re-use of the 'give permission' talking point, which was previously used to criticize Hillary (see my previous post below). “If anybody can put their arms around the party and say we need to be together, it is Bill Clinton,” a senior Obama aide said. “He’s brilliant, he has got heart and he cares deeply about the country. It’s tricky because of his position as Hillary’s spouse, but his involvement is very important to us. I only wish. What I do know is that Hillary is so bitter and angry, that I don't expect her to be at the Denver convention unless Bill makes peace with the Obama camp. It could happen. In fact, it might be the only way Obama can win the support of Hillary's voters. It's frustrating, but the key to Obama's November victory is making sure a majority of Hillary's supporters vote for him. A few months ago, I assumed that was guaranteed. But it is clear that a large percentage of Hillary's supporters have no desire to vote for Obama in November. Those in the red states might switch their vote to McCain. What we need in the Democratic party is unity. Obama can't win without those who voted for Clinton in the primary. Obama has a delicate task of seduction ahead of him this summer.